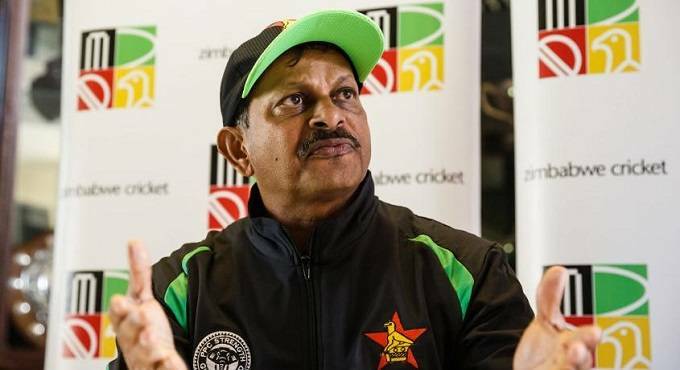 ZIMBABWE senior national cricket team coach Lalchand Rajput is bullish ahead of his team’s three-match one-day international (ODI) series against their more fancied neighbours South Africa that starts in Kimberly tomorrow. The ChronicleBongani Ndlovu, Sports CorrespondentZIMBABWE senior national cricket team coach Lalchand Rajput is bullish ahead of his team’s three-match one-day international (ODI) series against their more fancied neighbours South Africa that starts in Kimberly tomorrow. It’s been more than 18 years since Zimbabwe recorded their only ODI win over South Africa in South Africa, a two-wicket victory achieved in Durban, but Rajput is fancying his side’s chances. A glance at the records suggests Zimbabwe will again not have it easy against South Africa, as in their 17 ODI meetings on South African soil so far, the home side has enjoyed a 94 percent success rate, which includes the 3-0 series defeat Zimbabwe suffered the last time they visited for an ODI series in October 2010. With senior players Brendan Taylor, Sean Williams and Craig Ervine back in the fold to join up with captain Hamilton Masakadza as well as the fit-again duo of Solomon Mire and Kyle Jarvis, Rajput’s optimism is high. After Sunday’s meeting in Kimberley, South Africa and Zimbabwe will move to Bloemfontein for the second match set for October 3 before concluding the ODI series three days later in Paarl.